Tractography is a prevalent technique for in vivo imaging of the white matter fibers (a.k.a. the tractograms), but it is also known to be error-prone. We previously propose the Group-wise Tractogram Analysis (GiTA) framework for identifying anatomically valid fibers across subjects according to cross-subject consistency. However, the original framework is based on computationally expensive brute-force KNN search. In this work, we propose a more general and efficient extension of GiTA. Our main idea is to find the finite dimensional vector-space representation of the fiber tracts of varied lengths across different subjects, and we call it the group-wise isometric fiber embedding (GIFE). This novel GIFE framework enables the application of the powerful and efficient vector space data analysis methods, such as the k-d tree KNN search, to GiTA. However, the conventional isometric embedding frameworks are not suitable for GIFE due to the massive fiber tracts and the registration errors in the original GiTA framework. To address these issues, we propose a novel method called multidimensional extrapolating (MDE) to achieve GIFE. In our experiment, simulation results show quantitatively that our method outperforms the other methods in terms of computational efficiency/tractability and robustness to errors in distance measurements for real fiber embedding. 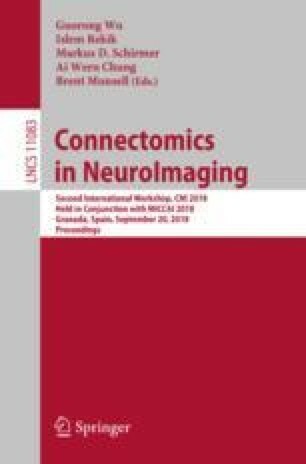 In addition, real experiment for group-wise optic radiation bundle reconstruction also shows clear improvement in anatomical validity of the results from our MDE method for 47 different subjects from the Human Connectome Project, compared to the results of other fiber embedding methods. This work was in part supported by the National Institute of Health (NIH) under Grant R01EB022744, R01AG056573, U01EY025864, P41EB015922.